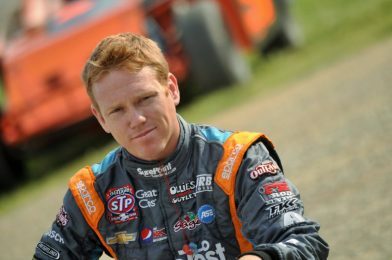 While he has only made three starts at Deer Creek Speedway with the World of Outlaws Craftsman Sprint Car series, Brad Sweet has made the most of that trio of races. 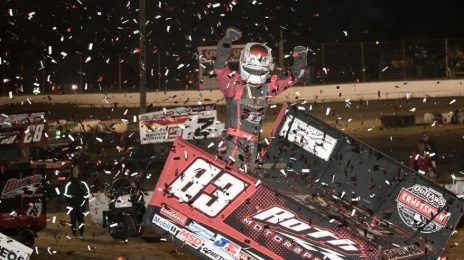 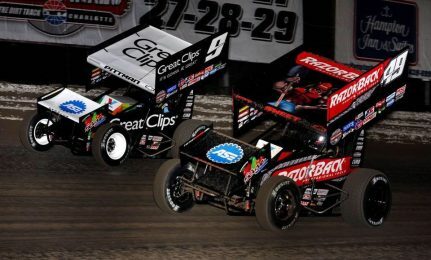 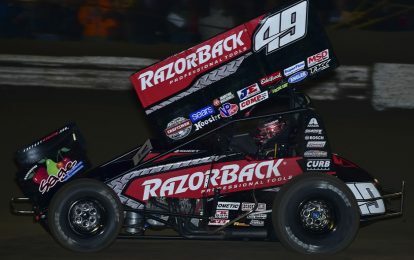 Kasey Kahne Racing driver Brad Sweet scored his second consecutive World of Outlaws Craftsman Sprint Car Series victory Friday night at Knoxville Raceway. 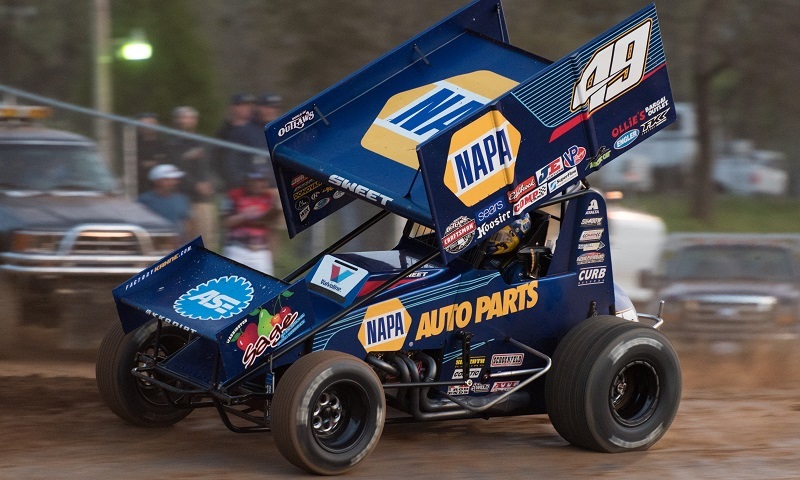 Brad Sweet worked his Kasey Kahne Racing No. 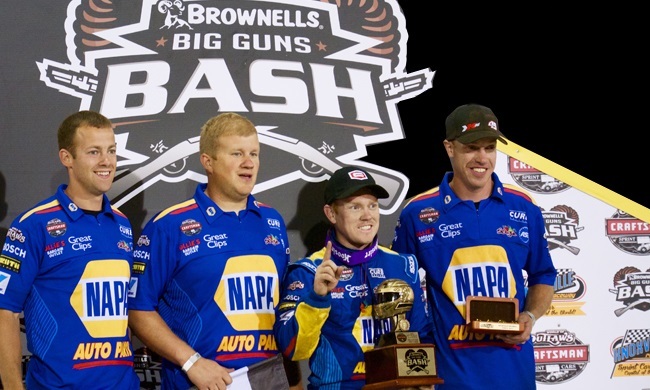 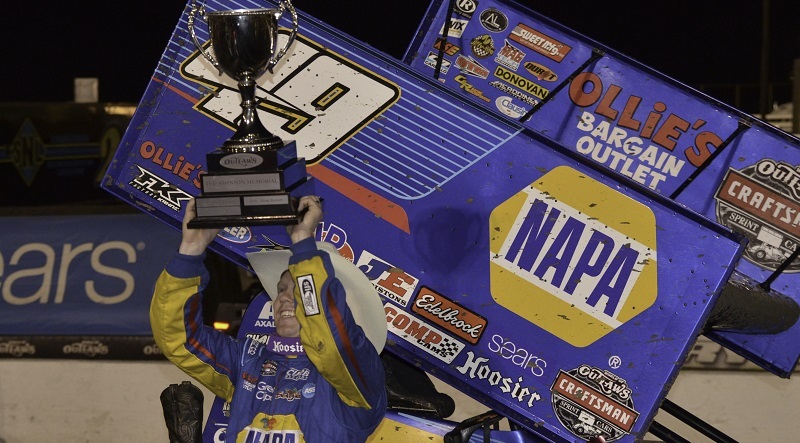 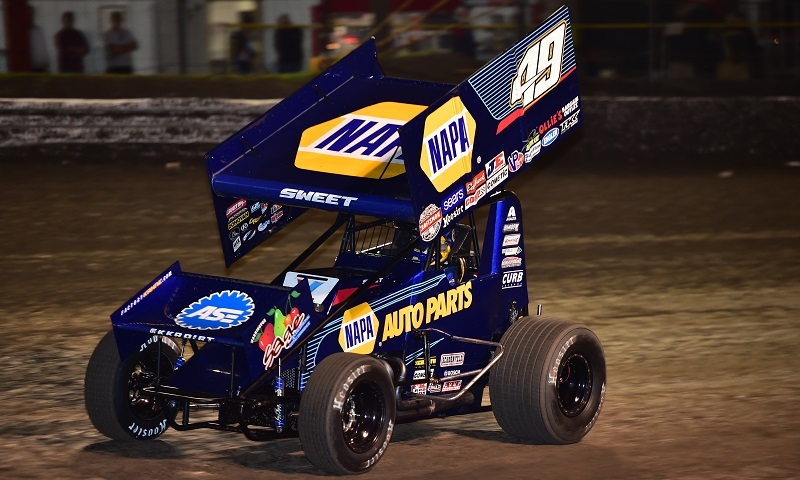 49 NAPA Auto Parts machine along the bottom of Devil’s Bowl Speedway on Saturday night, sticking it out at the high-banked half-mile oval for his second World of Outlaws Craftsman Sprint Car Series win of the season. 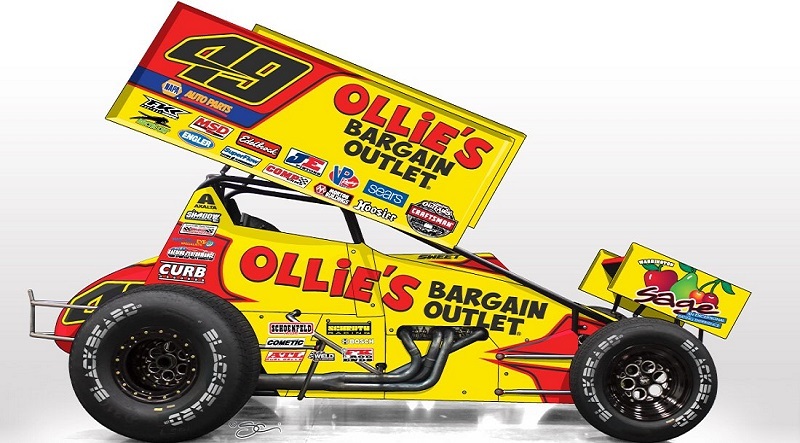 Kasey Kahne Racing revealed the red-and-yellow look for Brad Sweet’s No. 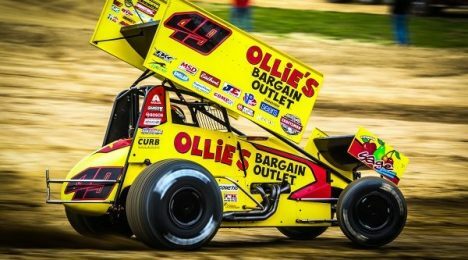 49 Ollie’s Bargain Outlets sprint car on Monday afternoon, ahead of the 2017 World of Outlaws Craftsman Sprint Car Series season.